Tomorrow Colleen and I are heading out on the road. We have to stop in Ohio to pick up her degree, but after that we’re off to better places (better places than Ohio include everyplace outside of Ohio). The Keys are our first stop. Colleen’s running a 100-mile relay with some college friends, which I think sounds horrible. I’ll be sitting on the beach and wishing I wasn’t sitting on the beach. Then we’re driving to Sedona, where I’m covering a Magura press camp for Dirt Rag. 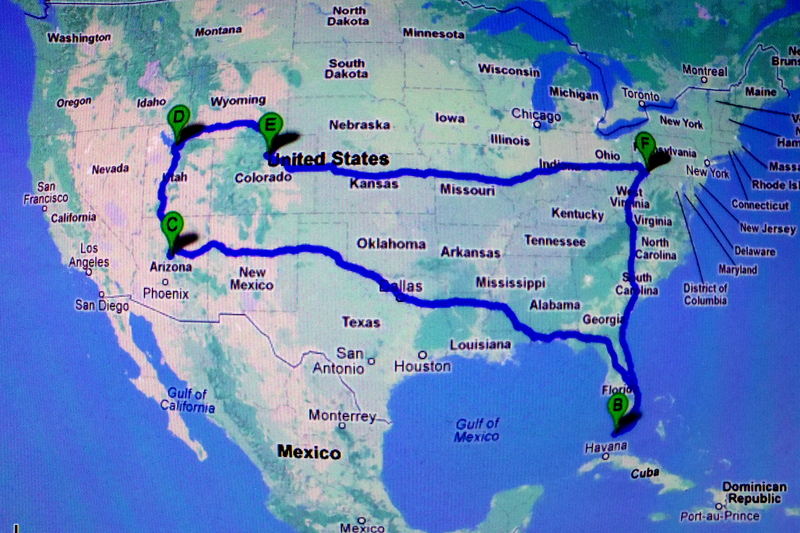 We have two days to make the drive, and from what I can gather, it’s really far (37 hours). I expect to hallucinate from sleep deprivation somewhere in Texas. After that, were going to spend five days making our way through the desert to Salt Lake City, where I got Colleen tickets to see some dirty hippy band that she likes. Then we’ll drive through Colorado and back to Ohiopyle. Hopefully all the snow will be melted in the mountains by the time we get there. I’m pretty excited. It should be a sweet trip.